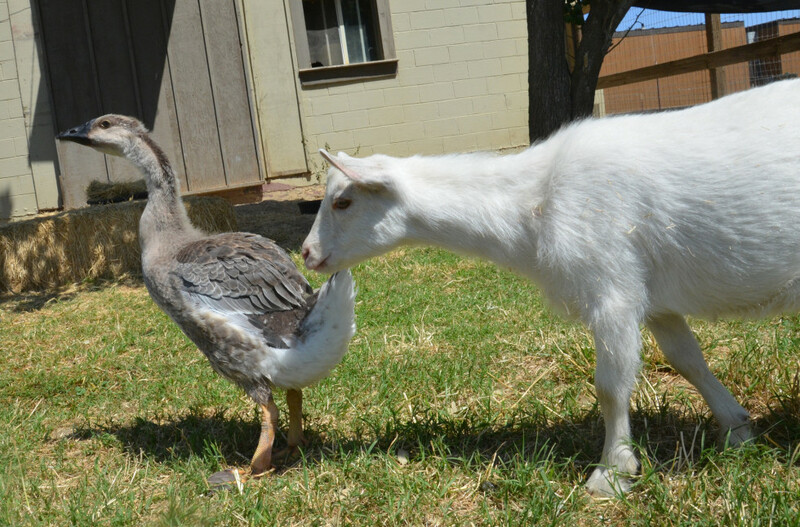 Ryan Gosling is a goose who lives at an animal rescue in Northern California, where he's best friends with a goat named Hemingway. Hemingway was six weeks old and covered in lice when he was found this past spring, having been left at Farm Sanctuary's front gate. Ryan Gosling came to Farm Sanctuary via a Los Angeles animal shelter. Staff quickly realized that he had some joint problems that made it hard to move. He was also discovered to be an unusually friendly little goose who loves company -- especially people, and his quick buddy Hemingway. At least for now. 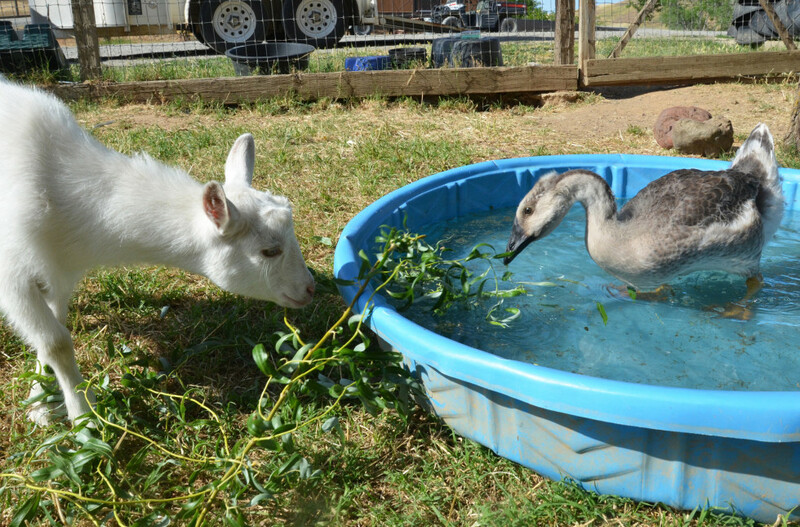 While at the moment this unlikely couple spend their days chewing the greenery and paddling in kiddie pools together, it's thought that Hemingway will eventually seek out other goats, while Ryan Gosling will flock to his fellow waterfowl. They’ll make other friends and form other bonds. But that doesn’t make what they share now any less special. Through one another, Hemingway and Ryan are experiencing friendship, safety, and peace for the very first time. Through one another, they have discovered sanctuary.